Paradise does exist! 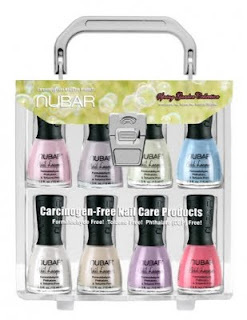 - Nubar’s new collection, Eden will make you a believer. A complete treat for your nails, the Eden collection brings lush gardens, windswept skies, sly serpents, and forbidden fruits to life. 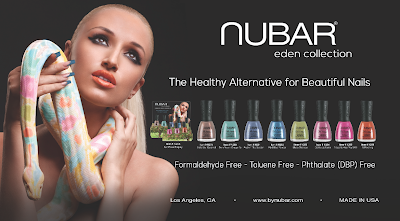 The Eden Collection introduces 8 fabulous new colors to the Nubar family; Moss Mistress, Tulips to Kiss You With, Calla Lilly Caramel, Dare You to Dragonfly, Rockin’ the Garden, Wild Blue Yonder, Dahlia Up Later, and A-Peel-Ing. Bringing users the garden’s creative energy and ethereal beauty, The Eden Collection is now available online. 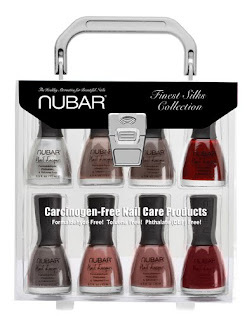 nubar released The Spring Garden Collection today, and the complete collection of nine nubar nail lacquers is specially priced at $39.95 though Friday, March 18th. To wrap up 2010, UK's Mail Online named their top beauty picks of the year, and beauty editor Elsa McAlonan and her team have chosen nubar Nail Lacquers as Best Nail Polish. 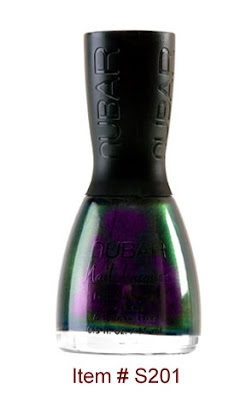 Ms. McAlonan says, "Nubar has produced some of the best nail polish colours, ­including the sell-out Peacock Feathers... Nubar’s quick-drying formula is free from formaldehyde, toluene and carcinogens. Fans include Cheryl Cole." This and more of Femail's beauty picks from 2010 can be seen at DailyMail.co.uk. 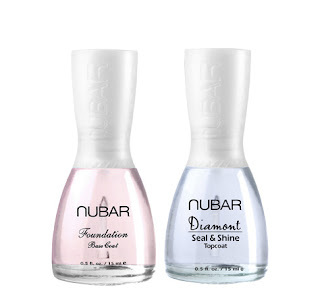 In Temptalia's recent review of nubar's Finest Silks Collection, Christine was just as impressed with nubar's smooth formula as other expert reviewers. She says, "Application was stellar on all of the creams: two coats for creamy, smooth, even color. The formula isn’t too thick or thin, and the rubber cap makes it easy to hold when applying." She reviewed the collection in two parts, swatching Organza, Taffeta, Marabout, and Pekin in Part I, and Sateen, Charmeuse, Moire, and Chiffon in Part II. Christine found her favorite Finest Silks shade in Charmeuse, which she calls, "a wearable, modern pink–not bright, not utterly girly, and not pastel." 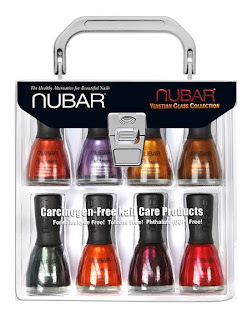 nubar's Finest Silks Collection received an overall score of 29/30 from Temptalia, and the collection is available now at www.bynubar.com. Email us with inquiries or to find your local distributor.